One of the benefits of teaching at a university in Central Europe is being within a few hours of some amazing and historic cities. 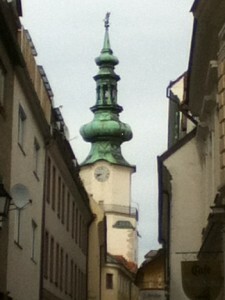 On Wednesday I took a half-day trip to Bratislava. Although my classes here are ending today, as always I will miss places such as this… And Vienna …and, of course, Budapest.